Apart from manufacturing of plastic formwork, Nova Formworks has earned a market reputation as a provider of technical assistance in the construction sector. The company has a defined consulting process wherein they study the blueprint of the project and analyze the total formwork requirement in vertical and horizontal aspects. Our technical experts evaluate the sizes of the panels needed to make the right sizes of columns and walls with the maximum number of repetitions. The team also works out all the related accessories required. Consequently, we discuss with the construction personnel about the type of system they would like to adopt for construction: a stage-by-stage process or a monolithic construction module. Post that, our team recommends the formwork as per the requirements. During the entire implementation of the project, our technical team and engineers handholds the client in terms of guidance and assistance. Our engineers are present on site to assist at the installation stage. 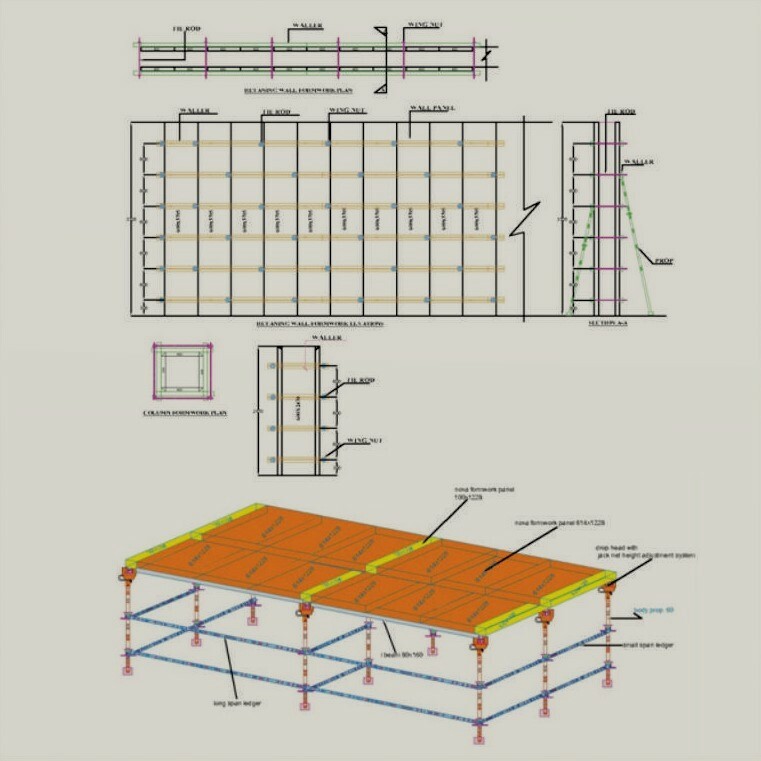 The R&D team at Nova Formworks is committed to assisting its clients across all stages of the project from conceptualization to actual installation of formwork systems. The dedication and commitment have helped our company earn immense respect in the market.